Another remake of a Konami classic. This MSX game has been remade another time, but this one seems to be the first. Note that you need Win95 compatibility mode! 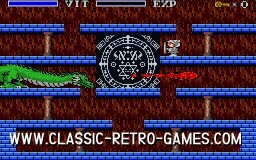 Download and play this Konami MSX retro classic!